Some two million cancer patients – including 9/11 first responders – may finally be treatable with a new CAR T drug, new research suggests. Late stage hard tumors like many breast, lung and mesothelioma patients develop are next to impossible to treat, and many patients die in spite of treatment. An early-stage clinical trial, presented at the American Association of Cancer Research, of a first-of-its-kind immunotherapy shrunk tumors and cut down cancer in the blood of mesothelioma patients by up to 50 percent. Remarkably, the Memorial Sloan Kettering researchers started seeing improvement in their otherwise treatment resistant patients after a single dose of the treatment. The researchers identified and tackled several of the flaws in immunotherapy for solid tumors in one go. ‘This approach is [a] first in the world,’ lead study author and Sloan Kettering deputy chief of thoracic surgery, Dr Prasad Adusumilli told Daily Mail Online in an email. Cancer is often described as a ‘battle,’ and that’s exactly the way that Dr Adusumilli and his team approached their study. He said that they first gained a better understanding of the ‘battlefield’ or tumor environment, then designed CAR T therapy that acts as a ‘precision tool/weapon with no collateral damage’ and made sure the treatment made a solid ‘landing’ on its battleground. The result is a treatment that, at least in its earliest stages, promises hope where there was none. Once cancers like mesothelioma, lung and breast cancers start spreading – or metastisizing – there is little hope, despite that considerable advancements in cancer treatment made in the last several decades. About half of cancers like colorectal and pancreatic are diagnosed too late to respond to standard treatments like chemotherapy and radiation. Immunotherapy has started to change those odds, however. These new treatments supercharge a patient’s own immune system to fight cancer. Chief among the innovations of the last 20 years is the development of so-called CAR T cell therapies. CAR T therapy is performed by taking a patient’s own T cells – a type of immunity cell – and bioengineering them to attack cancer cells specifically. Last year, the Texas-based immunologist, Dr James Allison, was awarded the Nobel Prize for his study of T cells, which paved the way for CAR T therapy. But the cancers these treatments work on have been limited, historically. Immunotherapy has extended the lives of and even cured people suffering from blood cancers, but failed against solid tumors. The new iteration of the therapy developed by scientists at Memorial Sloan Kettering in New York is on the cusp of changing that. 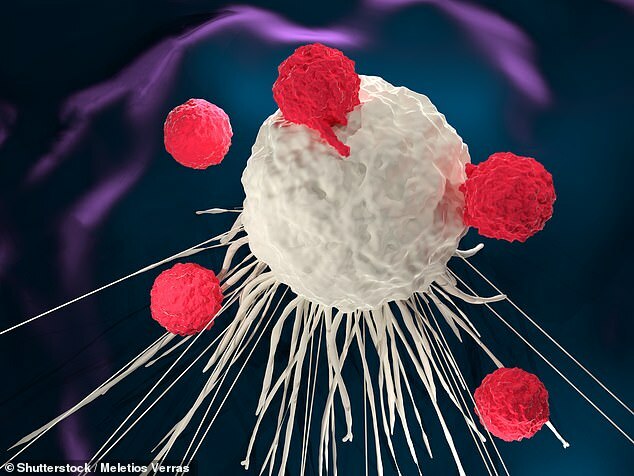 Previously, CAR T cells failed against solid tumors for two reasons. Varying but significant proportions of breast, lung, ovarian, pancreatic, stomach, and colorectal cancers, as well as mesothelioma, are marked by a protein called mesothelin, which acts like armor on the tumors’ surfaces. The CAR T treatments that showed such promise for treating other cancers weren’t programme to target these proteins. Second, CART T therapy is developed using the patient’s own blood, then, in standard therapies, is transfused back into the patient’s blood. But by studying cancers and the CAR T treatment in mice, the Memorial Sloan Kettering team discovered that the cancer-fighting cells got caught up in the lungs, lingering for days, and keeping them from reaching and acting on the tumors. So, Dr Prasad Adusumilli and his collaborators addressed both issues, and gave their new CAR T therapy some additional special features. They re-engineered the cells to specifically seek and destroy the mesothelin proteins on the surface of hard-to-treat solid tumors. Then, in collaboration with radiologists, the team developed a way to make sure the supercharged cells reached their target. Instead of re-infusing the therapeutic cells back into a patient’s blood, they used an image-guided, minimally invasive procedure to inject the cells directly to the tumor surface. And because the therapy is developed entirely from the human genome, patients’ bodies don’t reject the drug, and they don’t have to take immunosuppressants – which current CAR T patients have to be on for their entire lives. The treatment was therefore capable of ‘avoiding toxicity and increasing efficacy several folds,’ Dr Adusimilli said. The study was just a phase one clinical trial, so its long-term effects and safety aren’t clear yet. But if continues to perform as well as it has, it could give some two million terminal patients a future.